Recently, the initials, “I.M.F” have been plastered on the front pages of all major newspapers and media outlets. This is largely due to the allegations surrounding Dominique Strauss-Kahn, former managing director of the International Monetary Fund (IMF). 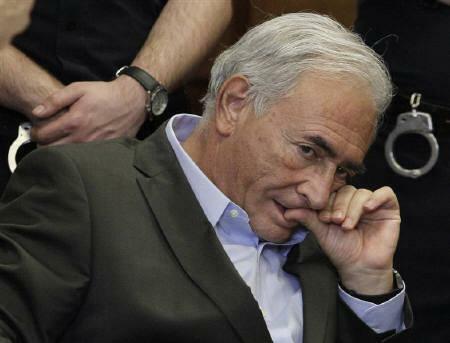 Strauss-Kahn was arrested earlier this week in New York City. He was charged with the sexual assault of a maid in his hotel suit. While Strauss-Kahn has not entered a plea, he has vehemently denied all allegations set before him. On Wednesday, May 18, Strauss-Kahn tendered his resignation as managing director. Surprisingly, the current scandal surrounding the IMF also has roots in Africa. The hotel maid who Strauss-Kahn is accused of assaulting comes from Guinea. Although her identity is being withheld from the public, her nationality has been made public. But the ties run deeper. African countries significantly finance their budgets by lending from the IMF. When these countries need to garner funds needed to complete infrastructure projects, the IMF serves as the “go to” source for acquiring finances. This makes the IMF of grave importance to many African countries and their economies. With the resignation of Strauss-Kahn, all eyes are on who will take his place. While the IMF has moved towards tailoring its policies based on the local conditions of each economy; the new managing director could potentially steer the IMF away from this direction and revert to the once used “one-size fits all policy.” This policy did not take into account any country’s particular condition. Instead, it handed out the same aid to all countries without taking into consideration their specific needs. 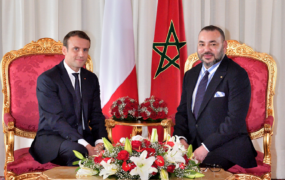 Although, the real power of the IMF rests in the hands of the countries with the largest voting rights and countries that contribute the most monetarily, aid given to African nations could still decline under the direction of a new managing director. The IMF, under Strauss-Kahn, has moved towards increasing its support for African nations. However, future decisions will indicate whether the spontaneous shift in power will derail the IMF from its involvement in Africa. Bloomberg has just reported that Christine Lagarde, French Finance Minister, might be the "leading contender" to replace Strauss-Kahn.